What's the truth about spiritual warfare? Spiritual warfare is a divisive subject for today’s church. Some Christians focus solely on the immediate world around them, living as if the only real opposition to God’s people and His kingdom is the one they can see. Others take an overly aggressive stance, where confronting the enemy is a constant pursuit in their lives. John MacArthur believes the truth is found between these extremes. Standing Strong offers a balanced, biblically sound approach to spiritual warfare in the life of a believer. 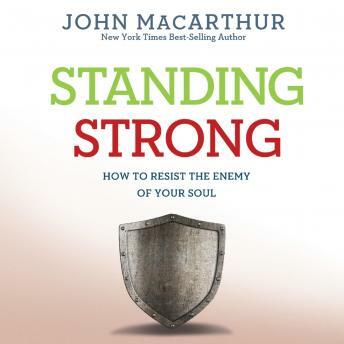 A trusted and renowned pastor and author, MacArthur examines key passages in God’s Word to debunk modern fallacies, define true spiritual warfare, and share how believers can stand strong in the face of every spiritual challenge. Standing Strong includes a guide for both personal and group study, which features discovery questions, suggestions for prayer, and activities, all designed to connect life-changing truths with everyday living.